I don’t know everyone in person who receives my emails on a daily basis but if you read these messages, you must be a pretty special and success-oriented person. Today I want to increase your awareness how much it matters to focus on mental preparation in any area of your life. I have a membership at a gym and I do my best to get to cross-fit three times a week at 6 am in the morning. One of the rules in this gym is that we are not allowed to say “I can’t” or “that’s impossible”. We have to do every exercise to the best of our ability. When I first started, my inner dialogue was filled with “I can’t”, “I won’t” and “that’s impossible” BUT after a short period of time this self-talk was eliminated and replaced with “I am”, “I can” and “I will”. Since I have adopted this mindset in my gym, I have applied it to other areas in my life and it works like a charm. I continue to push myself out of my comfort zone and I have surprised myself more than once in respect to my ability of getting things done. It is incredible what you can do if you don’t allow your mind to hold you back. Over the years we all have developed certain beliefs about ourselves that limit us. These beliefs can come from our family, circle of friends, education, past experiences, faulty logic and last but not least fear. Unfortunately these limiting beliefs can really sabotage our progress in life. If you think this holds true for you, make the conscious decision to tackle every challenge, every change and every new opportunity with a confident mindset and the success will be yours. 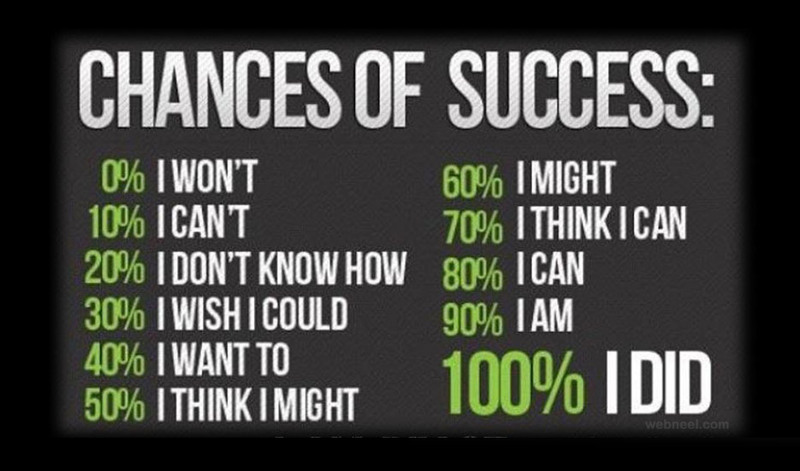 Prepare yourself mentally with “I can” and “I will”. You look like a winner to me. Now you just have to convince yourself! I wish you a “limitless” weekend!